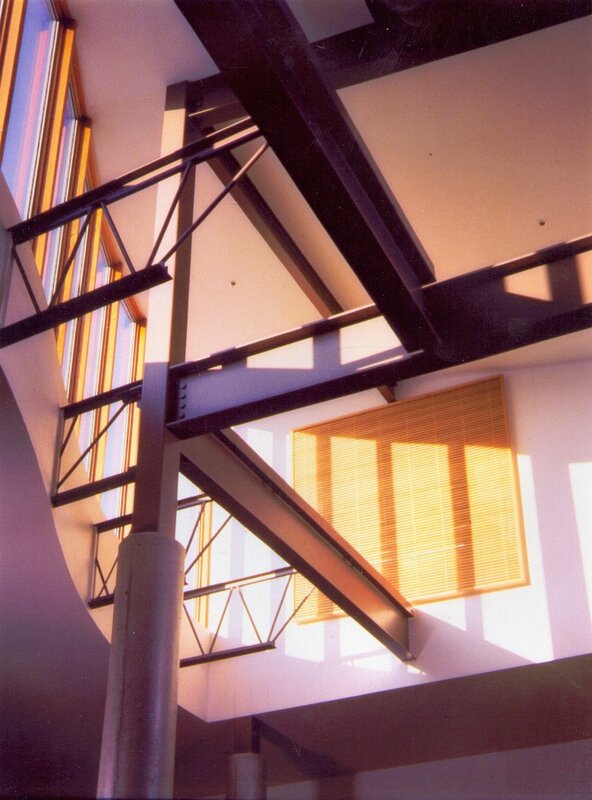 Marta Hansen was the sole project architect with Henry Klein Partnership on this library for Skagit Valley College outside Seattle, Washington. This 22,000 square foot library organized the rows of bookshelves along the perimeter of the central reading room giving complete visibility down each of the stacks to the librarians at the circulation desk. 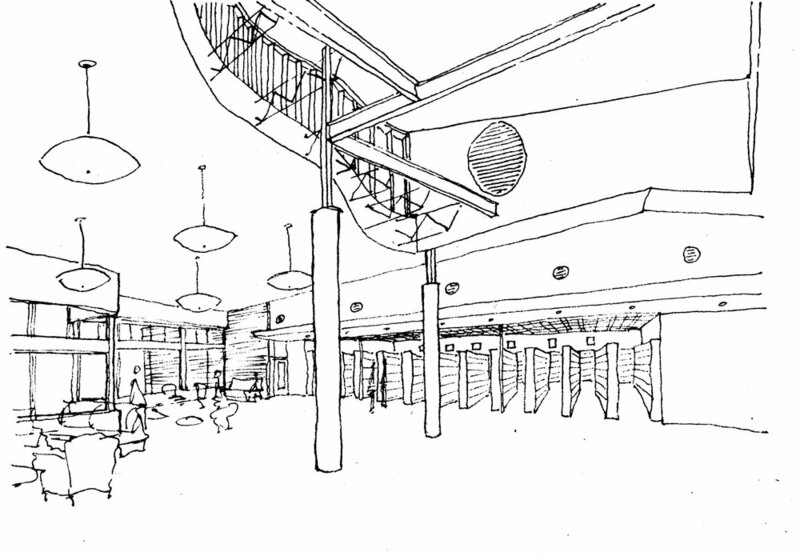 A large curved clerestory window with exposed steel beams and trusses mounted on a forest of concrete columns brings light into the building’s center, grounding the space where the computer terminals are located. On the exterior, the skylight rises from the flanking flat-roofed perimeter to echo the form of the surrounding snow-capped Cascade Mountains rising from the foothills. More intimate reading areas are defined along a faceted window wall facing trellised gardens with exposed concrete and steel structures similar to those used on the interior. The entry is marked by a self-supporting single width brick screen wall with a lattice of voids creating a mural of the mountains beyond. 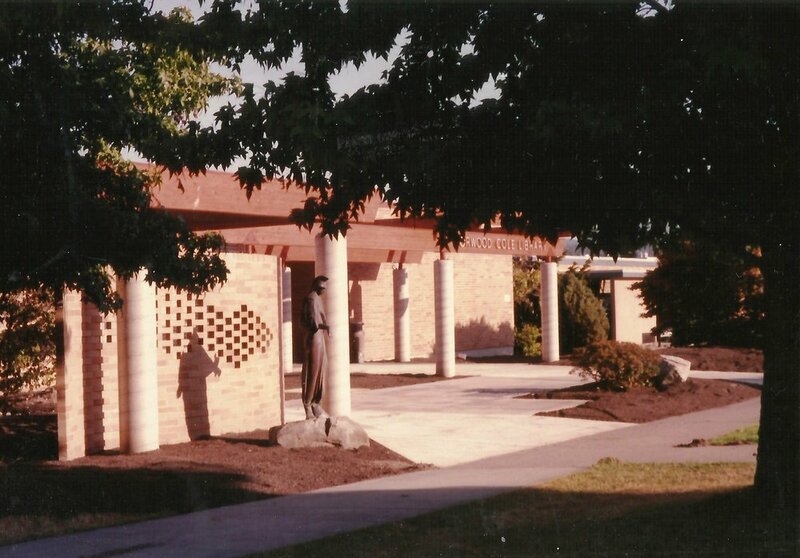 This project won a Citation Award from the Northwest Chapter of the American Institute of Architects in 1996.